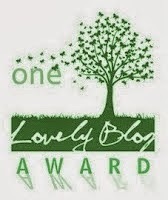 Tonight I will be practising mindfulness watching the Leonids meteor shower in my back garden under a warm blanket! The Leonids meteors can be seen at their peak around the 16th to the 18th November. They are one of the most impressive showers to observe, with around 40 meteors per hour at their peak. This year only a modest 10-15 have been predicted however. The shower itself has a cyclical peak year every 33 years where hundreds of meteors can be seen each year, the last of these was in 2001, lets look forward to 2034 then! Our crescent waning moon is at 25% of her brightness at the moment so that should make for fairly good viewing of this impressive meteor shower. In order to locate the Leonids, look in the direction of the constellation Leo, the best time is just after midnight. The brightest object in the sky right now, the planet Jupiter is also near the radiant point which should make it easier to locate where the meteors will be originating. “Here’s another tip regarding the radiant point. As darkness falls in mid-November, the radiant point of the shower is below your horizon, as seen from all parts of Earth. As the Earth turns, the constellation Leo the Lion – carrying the meteor shower radiant point – will rise over your eastern horizon. 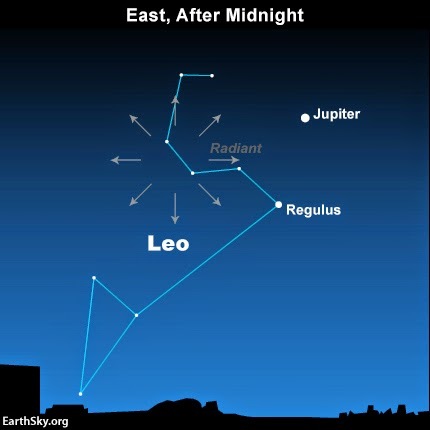 Expect to see the constellation Leo in the east around midnight. That’s why the Leonids begin to pick up steam after the midnight hour! Just remember, you don’t have to locate a meteor shower radiant to watch the meteor shower. But if the radiant isn’t in the sky, you won’t see as many meteors. That means you should watch the Leonid shower tonight, from late evening (November 17) until dawn (November 18). As a general rule, the higher the meteor shower radiant climbs in your sky, the more meteors that you’re likely to see. The radiant for the Leonids is highest up during the dark hour before dawn, offering, perhaps, 10-15 meteors per hour. The moon may marginally interfere with the show, but not enough to worry about. You should see at least a sprinkling meteors, if you watch for an hour or so. 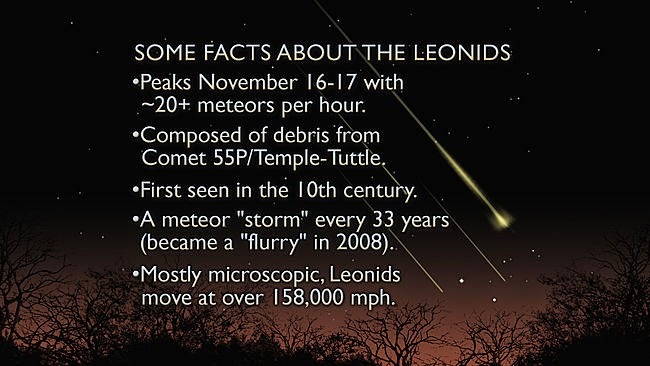 What else can you see on the night of the 2014 Leonids peak? The radiant for the Leonids is near the star Algieba in Leo. This is not Leo the Lion’s brightest star. That distinction goes to Leo’s star Regulus. Watch for both of these stars. Watching meteors fly through our night sky can be an intensely spiritual experience. The wonder of a shooting star is something that stirs a deep emotion within us. Spending an hour or two watching a shower is a wonderful way of really practicing a meditative mindfulness, try to really concentrate on the night sky and empty your mind of all other thoughts. Become completely absorbed in what is happening in the heavens above you and allow yourself to be almost transported to that other plane as if you yourself were in amongst the shooting stars. As you still your mind you will feel it is just you and the night sky and it is a wonderful feeling. Make sure you wrap up warm though and enjoy your wonderful mindful meteors!